It’s no secret that I love John Scalzi, and his books. He’s a friendly guy who is both a gifted writer in one of my favorite genres (humorous sci-fi) and an incredibly sharp political mind who has, in the last few years, used his celebrity to compose and share some of the most wonderful insights on issues of gender, race, and harassment that I’ve had the privilege to read. Apparently this makes him something of a pariah in certain circles, but since I try to avoid the trolling corners of the internet (how is it possible that all 17,000 of you are so kind? I’m very lucky), I think of him more as that wacky uncle who likes to sneak off and play videos with the kids after dinner and who probably steals all the best candy out of Halloween bags. Due to the craziness of October, and now November’s non-stop word count battles, I ended up reading Lock In primarily in bites, ten minutes here and there, until I got about two-thirds of the way through and just plowed to the end. When I finished it, and there wasn’t immediately a sequel, I got annoyed. Then I remembered I don’t have time to read sequels this month, and I immediately felt better…ish. I say this knowing full well you can undoubtedly appreciate the struggle between wanting (or even having) a sequel and wanting an afternoon (or a week, depending on the length or number of sequels available) when everything else can be blown off for reading. It’s the best feeling. As a child, it was easier to find the time. I would read during lessons I already understood in school, do my homework as quickly as possible, and then curl up with a book until dinner. I could happily pretend I’d already practiced piano (which I loathed and was unbelievably untalented at) if it meant twenty more minutes before bed. Now, in the twenty minutes before bed, I have to clean up the kitchen and make a reminder list for the next day and try not to fall asleep while brushing my teeth. Very little reading gets done. Even when the book is as wonderful as Lock In. There was something especially fascinating about finding a book about disease as Ebola was entering the US. All of a sudden, the issues Scalzi was addressing seemed eerily prescient. How would we react if the world was hit by an uncontrollable pandemic? How would it change the political, ethical, medical, and social structures we’ve become accustomed to? 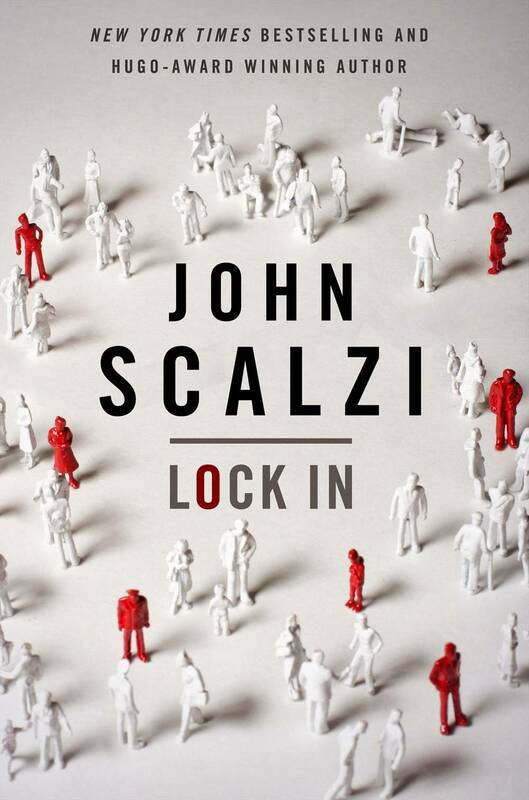 Scalzi’s novel does an excellent job of balancing the exploration of seemingly infinite repercussions while creating characters I’m desperate to see again and again in future installments. For more of Scalzi, head this way. That is me before bed, but worse because when I finally get to bed I inevitably have to get back up to get or do something. This book seems interesting. I love to read stories that balance thick plot with a roster of charcters you can actually get invested in. Never read Scalzi, but maybe I will… in January. He’s great! Very funny with likable characters and interesting world building. I also really enjoyed Redshirts and Old Man’s War, if you end up trying Lock In and liking it! Scalzi’s books are exceptional. This one gave me the shivers since the situation he explores is barely science fiction. Plus only weeks after publication the Ebola virus was all over the news and on our minds. Very different from Blindness, yet I love the kind of books that explore the political consequences of a mysterious disease and the unexpected behavior of human beings when facing hard choices. I agree! It was the perfect time to read it, and I found it to be completely fascinating! Did you read the “prequel” he published online for free giving the history of the illness? I thought it would be dry, but it was fantastic. If you haven’t read it yet, definitely check it out! I haven’t but I probably should now that I read what you say about it!